So, you think you know about the moving industry? Take our moving quiz and test your knowledge! 1. What percentage of Americans move annually? The United States is a country on the move, with more than 1 in 10 residents moving each year. That’s over 36.4 million people each year. And all that moving around results in a moving industry that contributes a lot to the U.S. economy. In fact, the moving industry employs over 122,000 people and generates $16.5 billion in revenue per year. 2. What was the most cited reason for moving? Although the average square footage of the American home has declined from its peak in the 2000’s, we are still looking to “move up” into the home of our dreams. According to the American Community Survey, only about half of homeowners report living in their home for more than 10 years. That’s a lot of moving around. 3. What type of moving companies do the majority of moves? 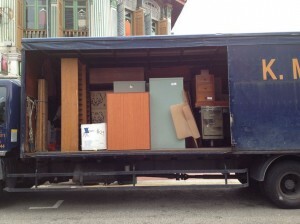 You might be surprised to learn that small businesses dominate the moving industry. In fact, 84% of movers are micro-businesses that earn less than $1 million per year. This is a double-edged sword however, as the low barrier to entry into this industry means there are some unscrupulous players. We recently wrote a blog post about how some moving companies are taking advantage of seniors, even going so far as to steal their belongings! 4. What state had the highest percentage of people moving into the state in 2012? Since so many people are flocking to the Sunbelt, chances are you chose the wrong answer on this one. While Oregon doesn’t have the highest number of people moving into the state, it has the highest percentage of people coming in as opposed to coming out. Just over 60 percent of moves in Oregon were from people moving in, compared to 39 percent of people leaving, according to the 2012 United Van Lines migration study. On the other side of things, many Northeastern states are facing a mass exodus, with New Jersey topping the outbound moving list with 62 percent of moves. 5. Of the Americans that moved in 2012, what percentage moved to a different state? Although those of us in the moving industry love to talk about which states are seeing the most growth, the vast majority of moves are still close to home. This quiz was brought to you by Garrett’s Moving & Storage. We are a full service moving company performing both intrastate and interstate moves across the United States since 1992. To request a free moving quote, please fill out our quote request form and we’ll get back to you ASAP! This entry was posted in FAQ's, Moving Stories. Bookmark the permalink.